Lionized by the right and demonized by the left, Supreme Court Justice Antonin Scalia is the high court's quintessential conservative. Witty, outspoken, often abrasive, he is widely regarded as the most controversial member of the Court. This book is the first comprehensive, reasoned, and sympathetic analysis of how Scalia has decided cases during his entire twenty-year Supreme Court tenure. 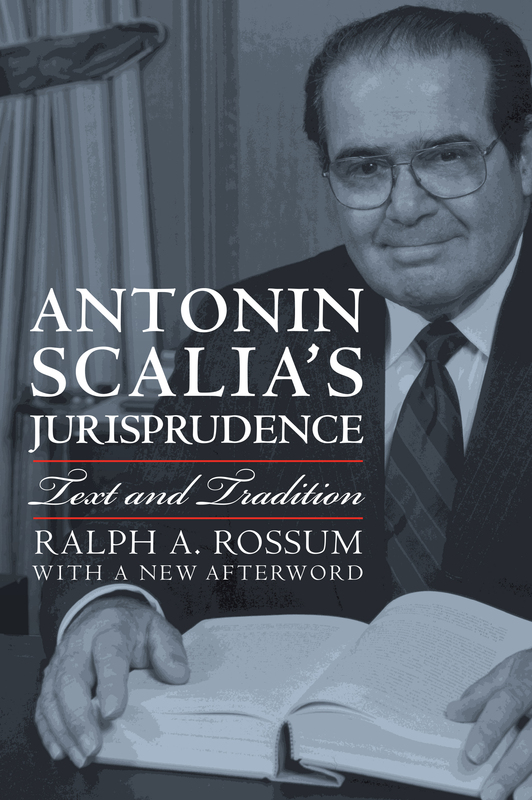 Ralph Rossum focuses on Scalia's more than 600 Supreme Court opinions and dissents—carefully wrought, passionately argued, and filled with well-turned phrases—which portray him as an eloquent defender of an "original meaning" jurisprudence. He also includes analyses of Scalia's Court of Appeals opinions for the D.C. circuit, his major law review articles as a law professor and judge, and his provocative book, A Matter of Interpretation. Rossum reveals Scalia's understanding of key issues confronting today's Court, such as the separation of powers, federalism, the free speech and press and religion clauses of the First Amendment, and the due process and equal protection clauses of the Fourteenth Amendment. He suggests that Scalia displays such a keen interest in defending federalism that he sometimes departs from text and tradition, and reveals that he has disagreed with other justices most often in decisions involving the meaning of the First Amendment's establishment clause. He also analyzes Scalia's positions on the commerce clause and habeas corpus clause of Article I, the take care clause of Article II, the criminal procedural provisions of Amendments Four through Eight, protection of state sovereign immunity in the Eleventh Amendment, and Congress's enforcement power under Section 5 of the Fourteenth Amendment. The first book to fully articulate the contours of Scalia's constitutional philosophy and jurisprudence, Rossum's insightful study ultimately depicts Scalia as a principled, consistent, and intelligent textualist who is fearless and resolute, notwithstanding the controversy he often inspires. Ralph A. Rossum is Henry Salvatori Professor of American Constitutionalism and director of the Rose Institute of State and Local Government at Claremont McKenna College. Among his numerous other books are Federalism, the Supreme Court, and the Seventeenth Amendment: The Irony of Constitutional Democracy and (with G. Alan Tarr) the two-volume American Constitutional Law.